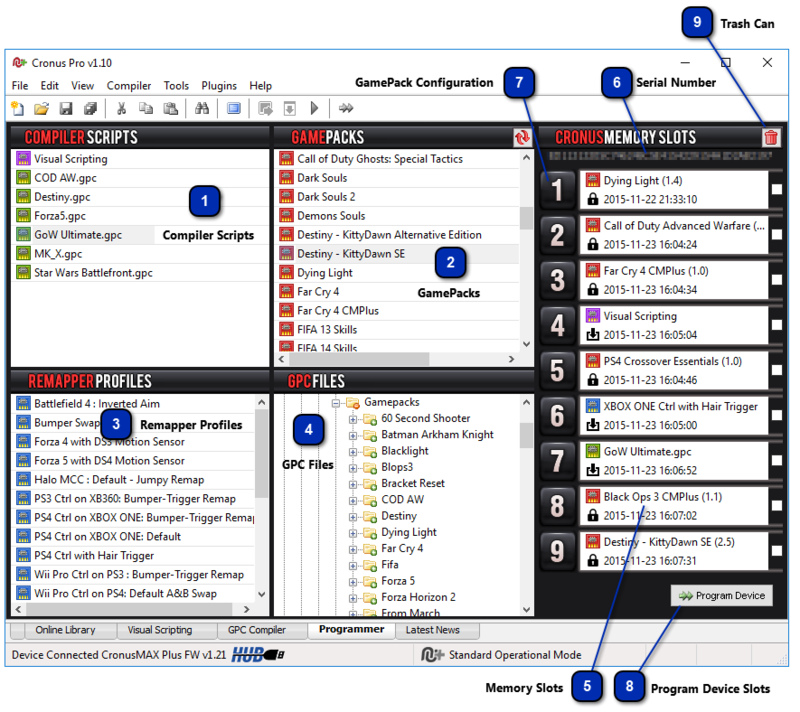 The Programmer panel gives easy access to all GamePacks, GPC Scripts, Remapping Profiles, Visual Scripts and GPC Files. You can select up to a total of 9 to be programmed directly to the CronusMAX PLUS memory slots using the Cronus PRO software, making any combination of GamePacks (ready to use MODS for games), Remapper Profiles (created with the MAX Mapper plugin), Compiler Scripts (which are custom GPC scripts from the Compiler working panel or Online Library), Visual Scripts (from the Visual Scripting panel) or GPC script files (your saved scripts files). To insert a particular GamePack, GPC Script, Remapping Profile, Visual Script or GPC File into a memory slot, simply drag-and-drop it from the corresponding list to one of the Memory Slots. Once in the memory slot, the code remains there until you replace it or until you clean the slot. Please note that any update in the code's original source will not automatically take effect in the memory slot, so if there are any new versions of GamePack or other code that you may have used before, you will need to copy the file to the memory slot, again by simple drag-and-drop. 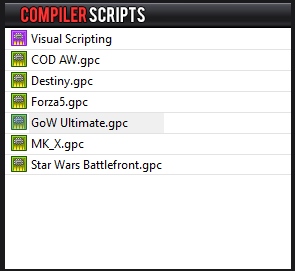 The very first item is the exported script from Visual Scripting, the remaining items from this list are the scripts currently open in the Compiler panel. These scripts are developed by you or downloaded from our Online Library. Drag and drop an item from this list to a memory slot. Cronus PRO will automatically compile the GPC script to generate the code. Any compilation error will abort the operation and a error message is shown. 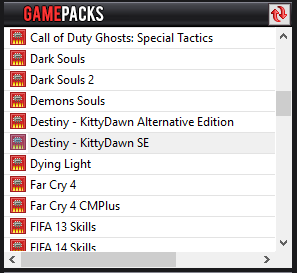 All available GamePacks are shown in this list. A GamePack is a set of exclusive MODs developed by our team of scripting professionals and gaming experts to improve your gaming experience. 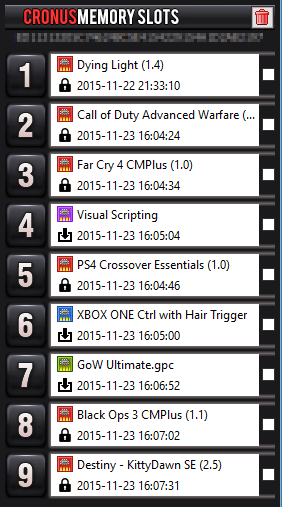 Usually a GamePack can be customized by enabling or disabling MODs or adjusting parameters. The instruction of how to use a GamePack can be accessed by double-clicking the help icon located next to the GamePacks name. There are also support sections on our community forums for each GamePack where you can request any extra features or report bugs. We are very active in this area as we like to make our GamePacks the very best in the business. Dragging and dropping an item from this list to a memory slot will automatically download the GamePack from our server. The downloaded code is serial number locked and can be only used by the CronusMAX PLUS with the same serial number. NOTE - An Internet Connection is required to access GamePack features. 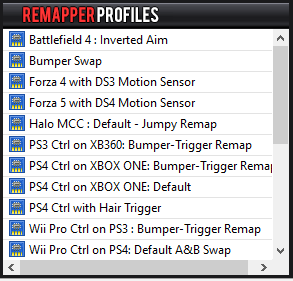 This list shows all available profiles of MAX Mapper, and it allows you to you easily remap all buttons, analog sticks and sensors to accurately customize the controller layout of any game. MAX Mapper is an official plugin of CronusMAX that comes pre-installed with Cronus PRO v1.10 and above. This control is a GPC file listing from your computer. The default starting directory is the same as you last used to open or save a GPC file. 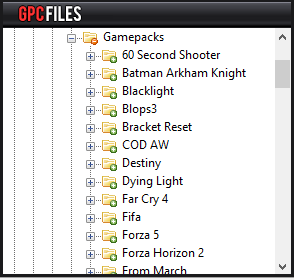 Dragging and dropping an item from this list to a CronusMAX PLUS memory slot will automatically compile the GPC file. Any compilation error will abort the operation and an error message is shown. On the left-side of the Programmer working panel you have the representation of all 9 memory slots of your CronusMAX PLUS. To insert a particular GamePack, GPC Script, Remapping Profile or GPC File into a memory slot just drag-and-drop it from the correspondent list to one of the 9 memory slots. Once in the memory slot, the code remains there until you replace it or until you clean the slot. On each slot you can check the code type and name, the date and time when it was placed into the slot and if it is serial number locked. Please note that any update in the code's original source will not automatically take effect in the memory slot, so if there are any new versions of GamePack or other code that you may have used before, you will need to copy the file to the memory slot, again by simple drag-and-drop. Click here for instructions on cleaning a memory slot. GamePacks can have a wide range of settings for customization. The settings are usually made using the controller, as explained in the GamePack instructions. However, you can also pre-set all customizations for a GamePack using the configuration interface, by clicking on the slot number associated to the GamePack. Please visit the GamePack Configuration section for more details about how to setting up a GamePack. The changes made to the memory slots are not automatically updated to your CronusMAX PLUS, even for the cleaning operation, you have to click on the Program Device Slots button to start the updating, a wizard window will open to guide you through the device programming process. To remove any saved code from a memory slot simply click on the checkbox next to the slot and then click on the red trashcan icon. You can check more than one slot at the same time, the clean operation will remove the code from all checked slots.